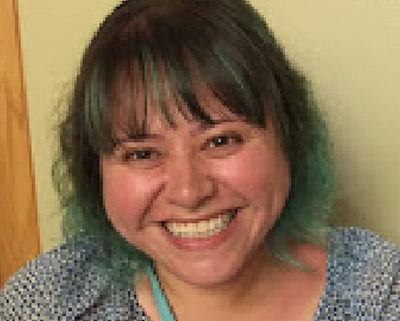 Dalia R. Juarez currently works as an Associate Professor of English at El Camino College-Compton Center in Compton, California. She has been with the Compton Center since January 2012. She has served as the college’s English Department Curriculum reviewer, Student Learning Outcomes facilitator for her division, the Learning Team’s Coordinator, as well as a teaching faculty in the center’s First Year Experience program, as well as being the lead instructor in the center’s All Male Accelerated Program. Dalia’s professional areas of interest include first year programs that support first-generation students, programs and curriculum that assist minority, male students, and faculty-student interactions as a component in student success. Dalia has worked as an instructor in several student success oriented programs for the past 14 years and has been a faculty member of the community college system for 15 years. Dalia earned her Master’s Degree in English Literature with an emphasis in Rhetoric and Composition from California State University, Dominguez Hills. Her graduate work earned her the Sally Casanova Forgivable Loan to further her studies. Dalia earned her Bachelor’s degree from California State University, Dominguez Hills where she studied American and British Literature. Other areas of interest include servant leadership, global leadership, and post-secondary education. As a doctoral student at Pepperdine University her dissertation examines how the faculty-student interactions contributes to the perceived sense of belonging of first-generation African American and Latino students.